Catch the vibe with this big tune from Young D – Body Work ft. Reekado Banks & Harmonize out now! Top Nigerian beat maker Young D unleashes a new dancehall track ‘Body Work‘ to get the party started in 2019. Featuring on the track is pop star Reekado Banks and Tanzanian singer Harmonize. Hopefully this song would be banging in the clubs and party spots pretty soon with its bubbly vibe. 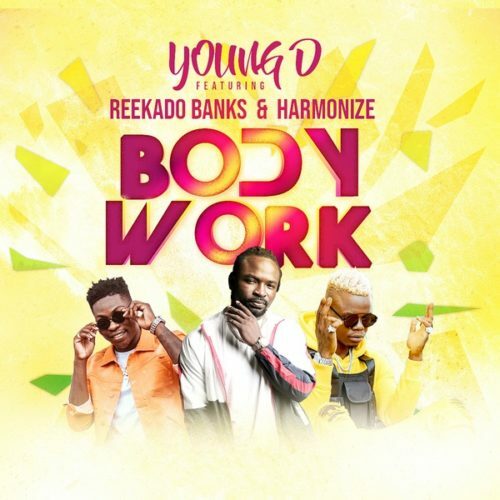 Listen to Young D – Body Work ft. Reekado Banks & Harmonize below. Enjoy the tune & share!